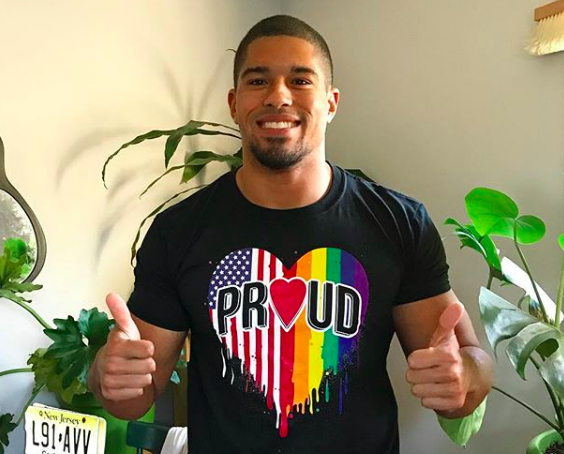 Instastud Anthony Bowens is foregoing his clothes in the February edition of Gay Times. In a new interview with the magazine, the 28-year-old pro wrestler talks about coming out as gay, after previously coming out as bisexual. Prior to coming out as gay, Bowens says that biphobia directed at him from other members of the LGBTQ community was perhaps the “biggest” issues he had coming out the first time around. Monthly Mirror Pic..have you been sticking to your New Year’s resolutions? Interestingly, Bowens says he received an outpouring of support from the wrestling community. Bowens believes most of the homophobia in sports boils down to the same thing: the false idea that LGBTQ athletes are at least partially there to creep around the locker room, a claim he calls “ridiculous”. Check out the original story here: Queerty.